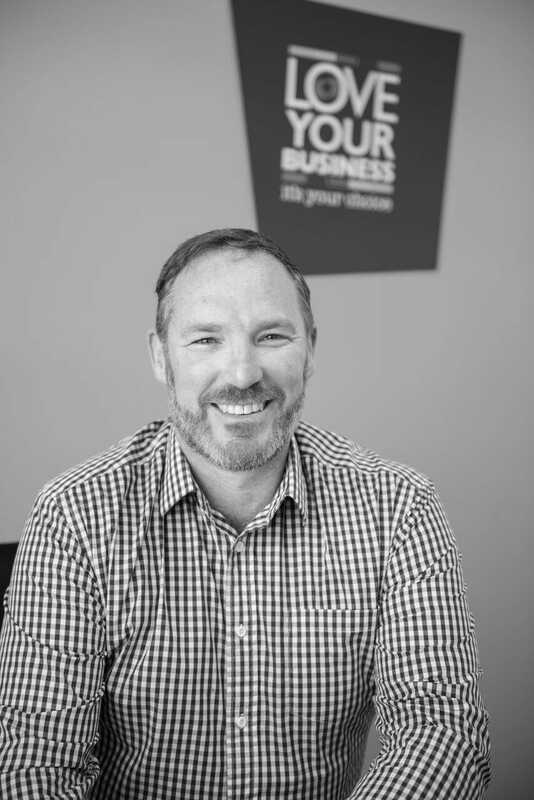 Phil is one of New Zealand’s leading SME business coaches. However, he is not your typical business coach, far from it. Phil is an Uncompromising Friend for business owners. He understands the loneliness, frustrations and implications of being a business owner. However, when a business owner gets clear on their goals the uncompromising coach kicks in. Phil combines his considerable education, business experience and Evolved Leadership training to help business owners really love their business. Phil has over 20 years of growing and helping to grow businesses. From taking over a small struggling insurance brokerage with 4 staff and growing it to 70 in less than 5 years to rescuing a family run business who was just days away from closing its doors. The results Phil achieves with his clients is second to none. Phil’s unique style can be experienced via Keynote speaking, business transformation partnerships, business owners’ workshops and via the Evolved Leadership education suites. Phil understands what it is like not to love your business. He has experienced first-hand the trauma that can ensue when things go wrong. Whilst at the time it was horrific, Phil has used this experience to transform not only his life but also to create Love Your Business. One of Phil’s legacies is to “Pioneer a new paradigm in a world that where business owners love their business! As an Uncompromising Friend to business owners Phil will not hold back. Phil’s commitment to any business owner is that he will add significant value. He is committed to results which is why he only operates on a Return on Investment basis. Phil specialises in helping business owners love their business. His unique style and result driven outcomes makes him a highly sort after coach. His entertaining and value packed keynotes workshops and sessions ensure that where ever he goes he is adding significant value to business owners. Working with Phil has been great! He firstly sits you down and understands your goals, challenges you on those if he thinks you are selling yourself short, then designs a step by step plan that is implemented through agreed weekly actions and catch ups. He doesn’t overwhelm you with going through what his plan is over the next 12 months right at the start, rather he says “too easy” and feeds it to you over time. I’ve been working with Phil for about 4 months. During this time the action plans we have agreed to has accelerated my business growth, shown me how to manage unhelpful emotions such as stress, and ultimately turned a dream into a target that is now really achievable. I highly recommend Phil to any business owner as he will keep you accountable to yourself- this is the biggest step in my mind to achieving your definition of success.